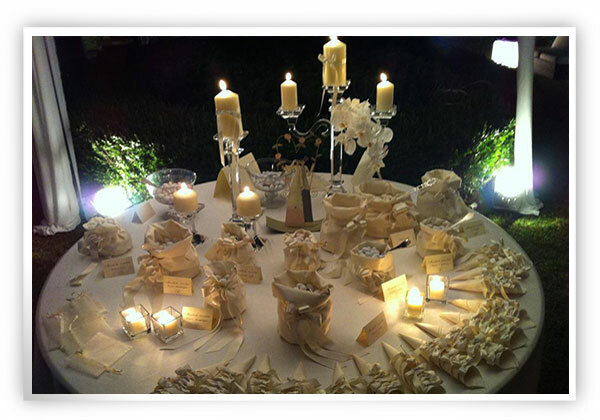 If a couple decide to get married in Italy it is important to use and respect Italian tradition that are used on wedding days. One of the most popular tradition are wedding favours. There are so many types of favours that it can be difficult to choose but we can suggest the appropriate favour in accordance to your wedding style. In ancient time favours were wrapped in some particular bags of tulle for the wedding. The flavours are given as a token of thanks from the couple to their guests and they offer “confetti” to their guests after the cake has been cut . Planning Sorrento suggest to you the classical “confettata” that is a traditional way to offer Italian “confetti” to all guests.